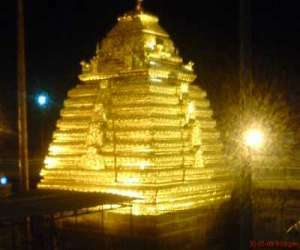 Importance: Famous for one of the 12 Jyotirlingams. 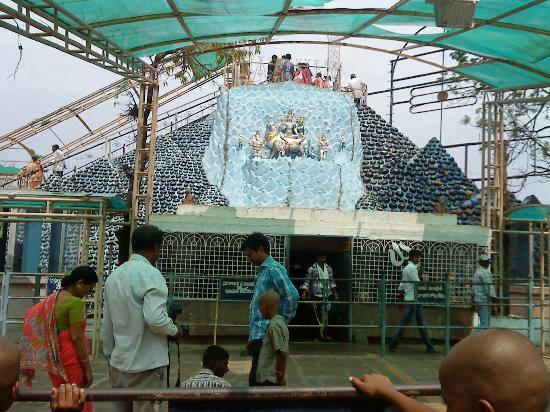 On the south bank of the river, on a 457 metre high hill, is the Bhramarambha Mallikarjunaswamy Temple. Sri Mallikarjunaswamy, the presiding deity, is one of the 12 &apos;Jyotirlingams&apos; in India. A massive fort, with walls 6 metre high encloses the temple. A cluster of minor shrines within the temple enclosures include the &apos;Sahasra Linga&apos; &apos;Panchapandava Temples&apos; and &apos;Vata Vriksha&apos;.<br />The highest of the Srisailam hills, is Sikhareswara Swamy, at Sikharam. 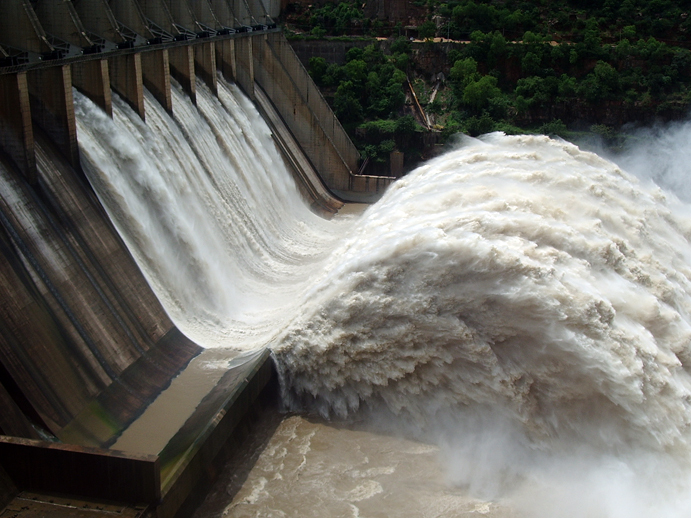 The 512 meter long Srisailam dam along with the hydel power project is also worth seeing. 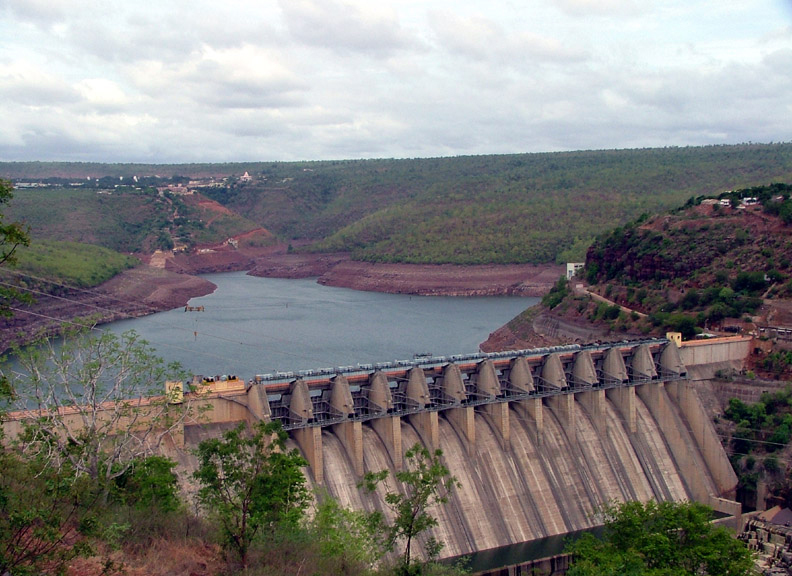 Srisailam is situated in the thick and inaccessible forests of the Nallamalai hills, in the northeastern portion of the Nandikotkur Taluk of Kurnool District. It lies on a straight line west of Vijayawada, right as it were in the centre of South India. It is 73 miles north of Nandyal Railway Station. 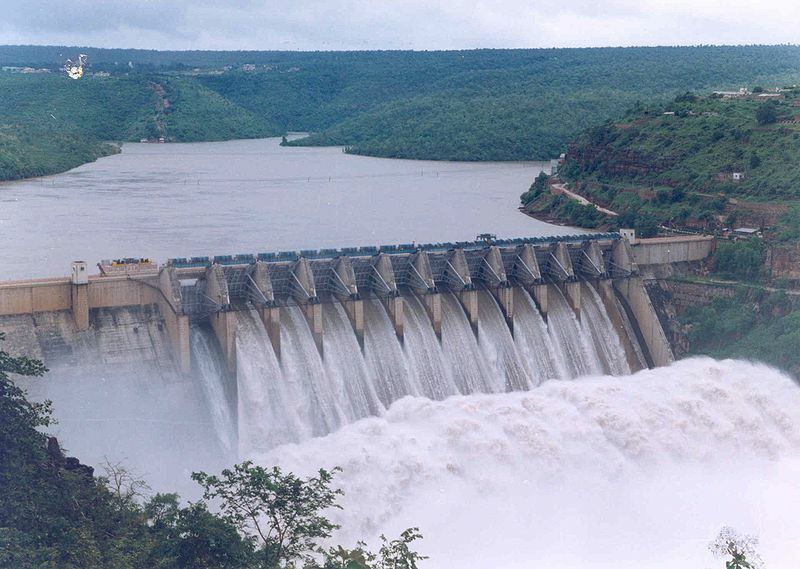 Situated on the banks of River Krishna, in the Nallamalai forest, Srisailam is 232 km south of Hyderabad. The ancient and sacred temple of Srisailam is of great historical and religious significance. 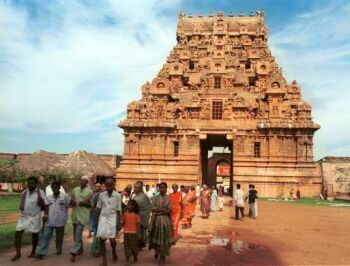 Situated on the south bank of the river Krishna, in the Nallamalai forest, on a 457-meter high hill is the Bhramaramba Mallikharjunaswamy temple, one of the 12 Jyothirlingas in the country. There are three famous Linga Kshetrams (Draksharamam and Nagarjunamo are the other two), it is also known as "Sri Mallikharjunam" and "Sri Parvatham". 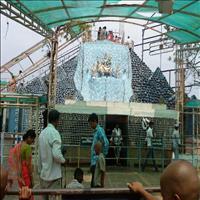 The temple is also the seat of Mahakali in the form of Bhramaramba. The most appealing feature of this temple is that any one of any cast or creed can touch the deity and worship here. 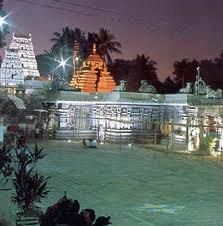 At Sikharam, the highest of the Srisailam hills, is Sikhareswara Swamy, a temple dedicated to Lord Shiva. Another beautiful temple is Sri Ganapathi temple, dedicated to Lord Ganesh. 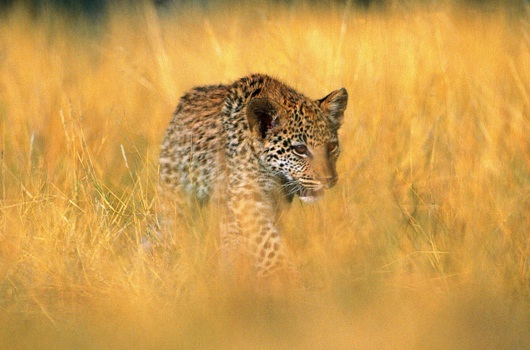 Srisailam wildlife sanctuary, which covers areas in five adjoining districts, has tigers, panthers, spotted deer, giant squirrels, great lizards, pangolins, crocodiles, civets and a variety of snakes.